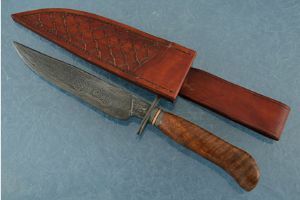 Shadow Fighter by Jim Arbuckle, J.S. 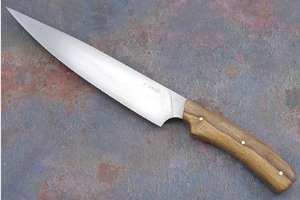 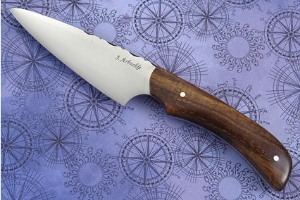 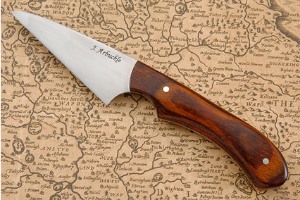 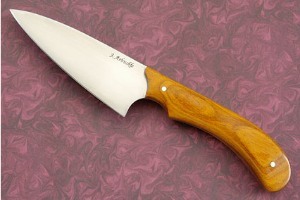 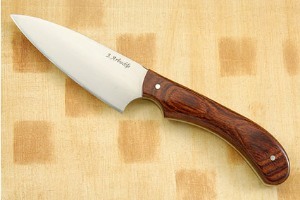 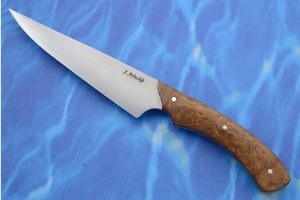 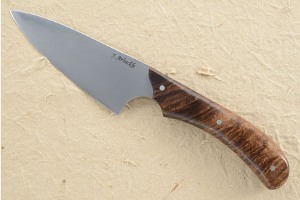 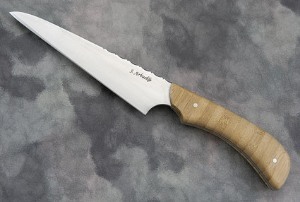 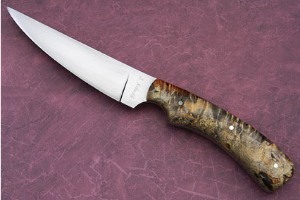 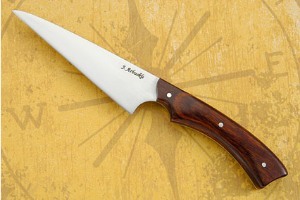 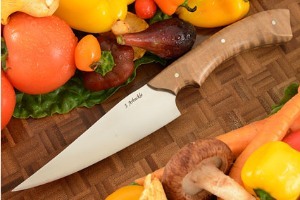 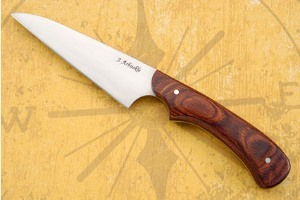 Survival/Camp Knife with Natural Canvas Micarta by Jim Arbuckle, J.S. 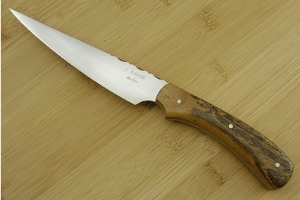 I've carried and used knives of some kind all my life. 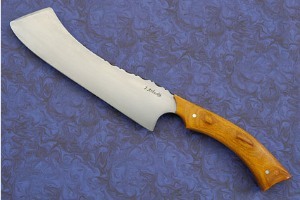 Growing up in Washington State, I spent most weekends hunting and fishing. 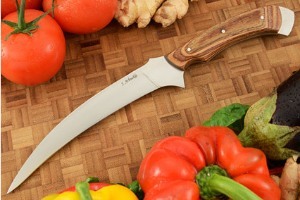 I have a fair understanding of what features make a knife usable. 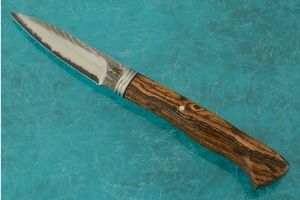 I know that stopping to sharpen a knife while dressing out an elk in 20-degree weather on the side of a mountain is frustrating as well as dang inconvenient. 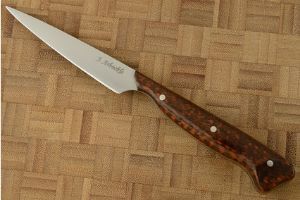 I also know that a knife suitable for trout isn't ideal for salmon. 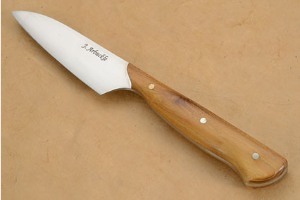 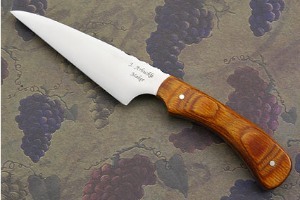 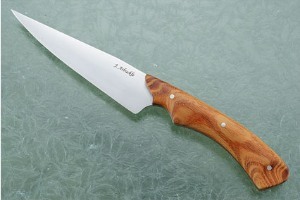 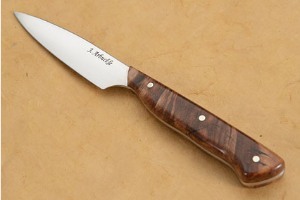 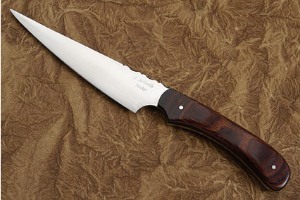 I started making knives on a regular basis in 1979 after reading Sid Latham's book "Knives and Knife Makers". 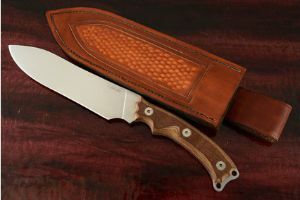 By 1996, my interest had turned into a passion, and had expanded to forging, so I attend the ABS Bladesmithing School (ABS) in Washington, AR. 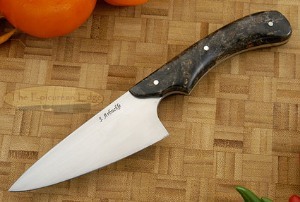 Not only did I learn the art of forging knives but also forged friendships, which I still cherish today. 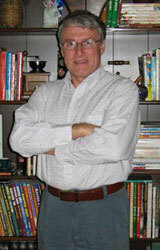 In 2000, I returned to Washington, AR and took the ABS Damascus course with Bill Moran. 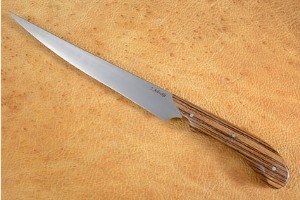 In June of 2007, I completed all requirements and became a Journeyman Smith in the American Bladesmith Society. 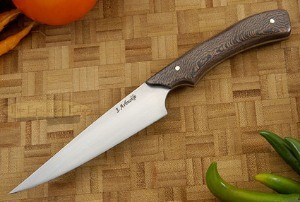 Every knife I make is constructed as if I was making it for myself. 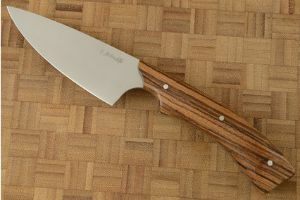 My cutting edges are as hard a practical for the type of knife. 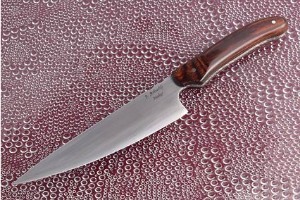 I do my own heat-treating, and test every knife before it leaves the shop. 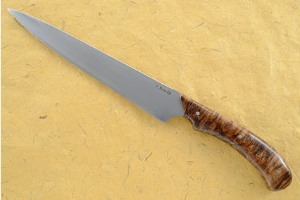 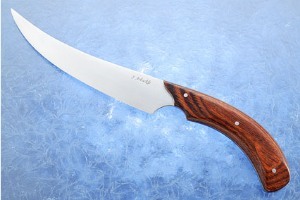 I make forged and stock removal blades using materials best suited to the task intended for the knife. 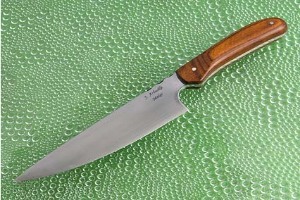 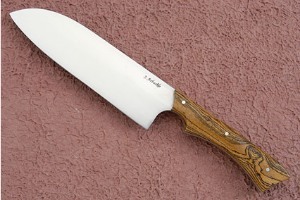 I prefer exotic hardwoods and natural materials for handles, but use Micarta and stabilized woods where more appropriate. 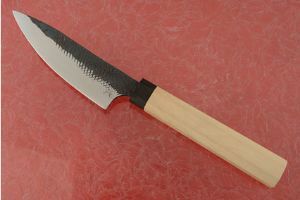 I forge 5160, 1084, 1095 and 52100 carbon steels, I stock remove D2, ATS-34, 440C and O1. 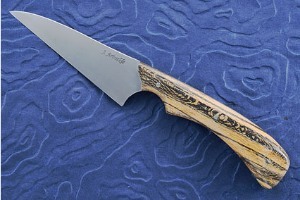 I make my own Damascus (pattern welded) steel. 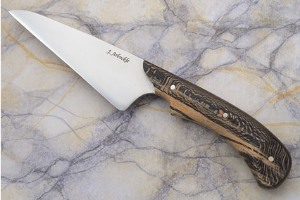 My knives are constructed with the idea that whether they are working knives or fantasy knives they are still knives -- and should be able to function as such. 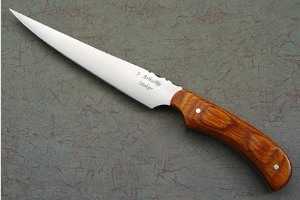 I believe very strongly in sole authorship. 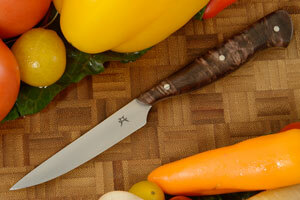 I forge, grind, heat treat, finish and embellish all my knives myself. 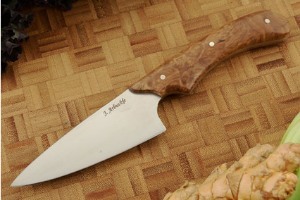 I do most of my own leatherwork. 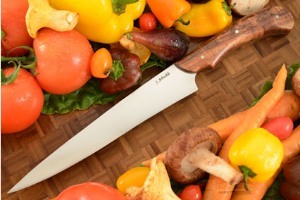 If the knife does not perform, I cannot blame it on anyone else! 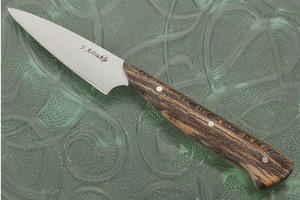 Most of my knives are "one-of-a-kind working knives with bragging rites". 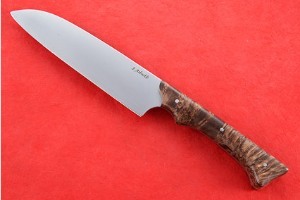 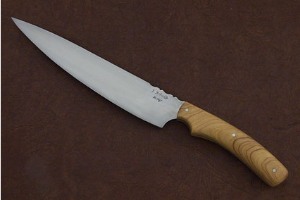 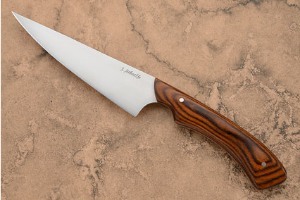 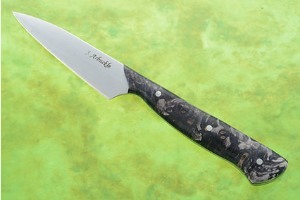 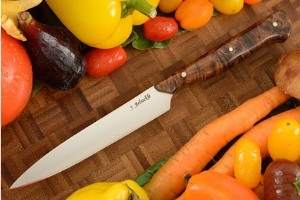 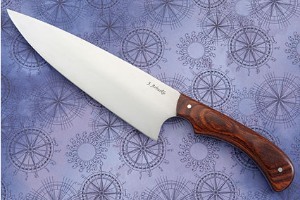 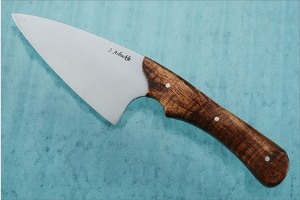 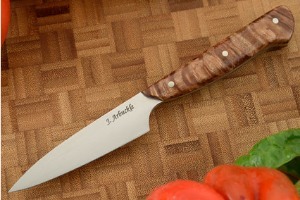 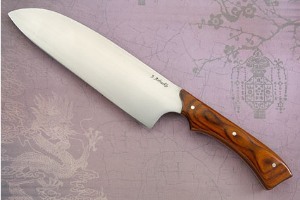 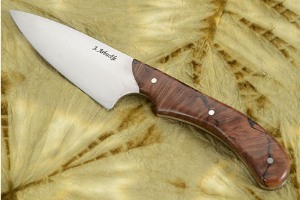 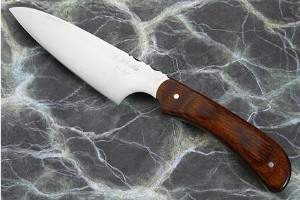 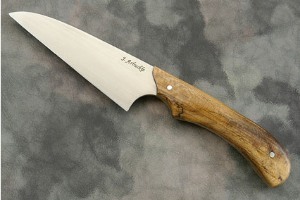 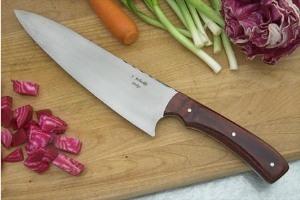 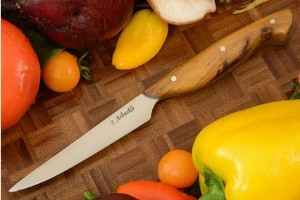 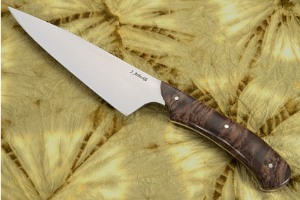 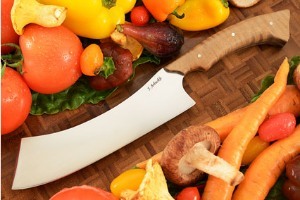 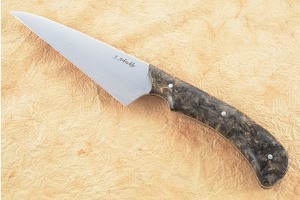 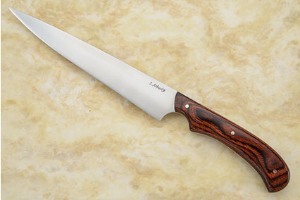 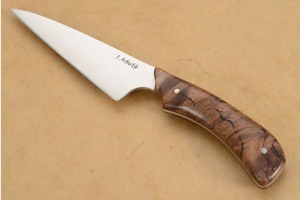 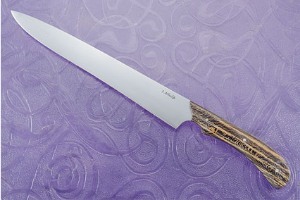 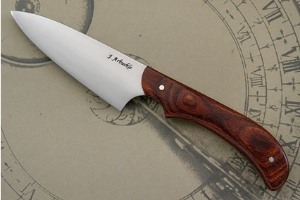 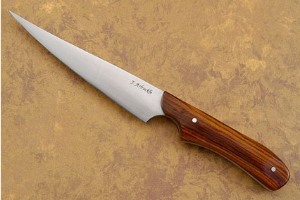 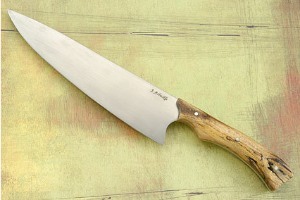 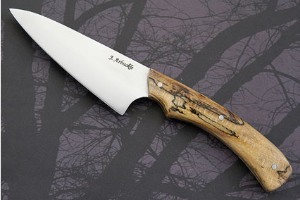 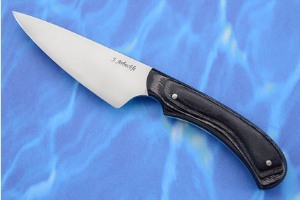 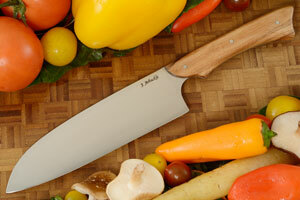 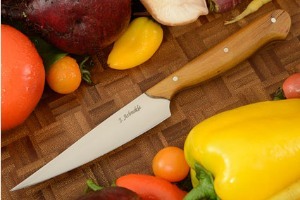 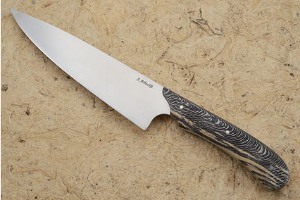 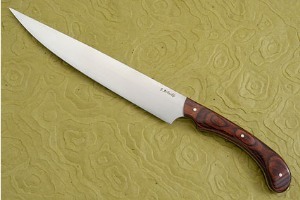 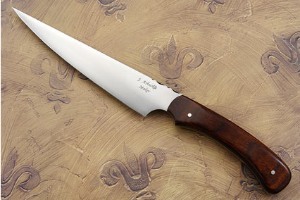 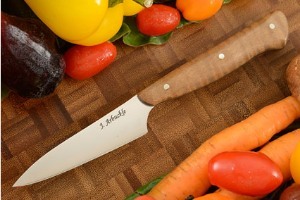 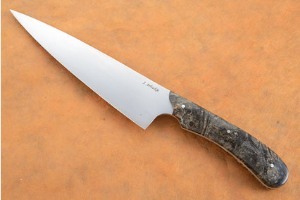 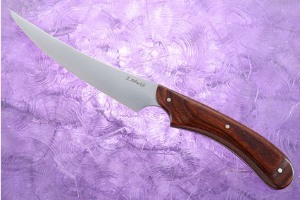 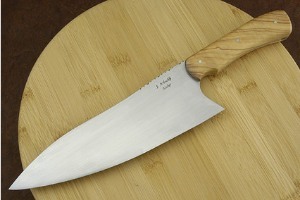 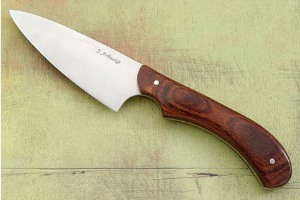 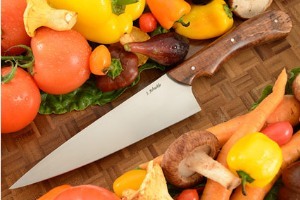 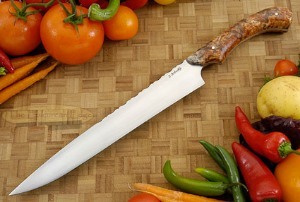 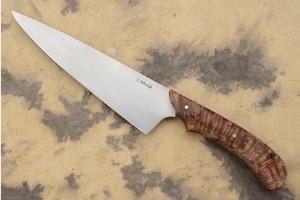 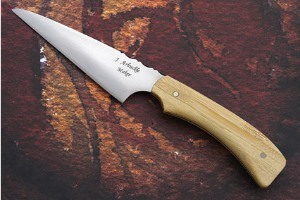 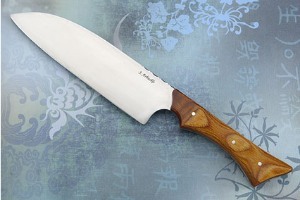 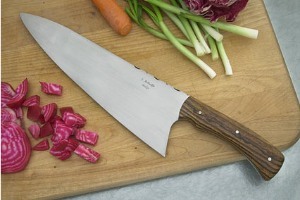 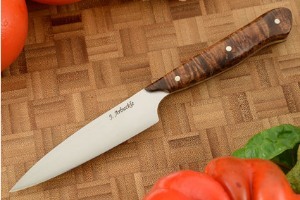 My goal is to make knives so fine that if you pick one up, you would rather part with the money than the knife! 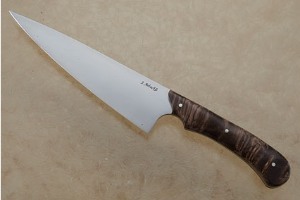 0.31640625 0.19140625 316.40625 191.40625 Products Display completed. 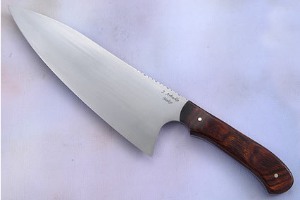 0.33203125 0.015625 332.03125 15.625 Trailer Started. 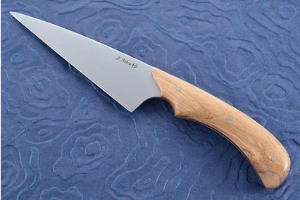 0.45703125 0.125 457.03125 125 Trailer Completed.